The Village to Village Network provides useful information about Senior Village Networks throughout the nation. The Fellowship for Intentional Community provides publications, referrals, support services, and sharing opportunities for a wide range of intentional communities & cohousing groups. 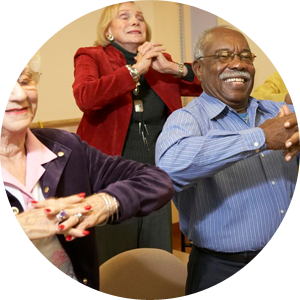 Mastick Senior Center, a division of the City of Alameda Recreation & Park Department (ARPD), provides a well-rounded social recreation program for active seniors. Mastick houses a variety of programs & services. Alameda based assisted living, senior focused fitness, medicare approved outpatient rehabilitation therapy, and home care. A quarterly publication dedicated to the health and wellness of seniors in Alameda and the surrounding community. An organization for world peace consisting of world leaders who have banded together to work toward world peace. This is a collection of articles we have found interesting or useful, to see the full list please click here.